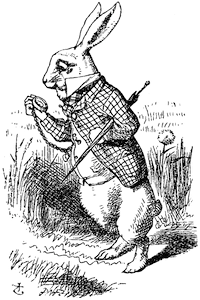 It’s hard not to feel like the White Rabbit from Alice in Wonderland these days, perpetually anxious and reaching into your pocket to look at your gadget and fretting, I’m late, I’m missing out, I need to catch up. This anxiety only intensifies when you’re trying to get a project, your business, or even yourself off the ground. It’s tempting to always look outwards as you try to launch, because that seems like a smart, finger-on-the-pulse competitive approach. “Am I getting further than them? Am I catching up to them?” you wonder while looking into your telescope. But all this fretting and fussing can be as much of a distraction as the always-receiving-information, always-working, and always-have-to-be-doing-something-itis that’s afflicting our culture. And when you pay too dearly for these distractions with your time and energy, you never get to really soar. It’s with this simple statement that founder and CEO of Behance Scott Belsky opened the 99U Pop-Up School, a three-day learning experience on how to build your way toward career, startup, and brand success. Now, more than ever, you have to focus on what really matters in order to succeed, and that’s why we need to make mental room of our own to hear ourselves think. Here are three lessons offered at the 99U Pop-Up School by its faculty of entrepreneurs, scientists, and writers on why it’s so important to tune in and how to turn self-awareness into a major source of strength. 1. Focus on your improvement, not on being the best. People often view success as winning first place in a race, that achievement means beating others, when it’s actually more about your own progress. 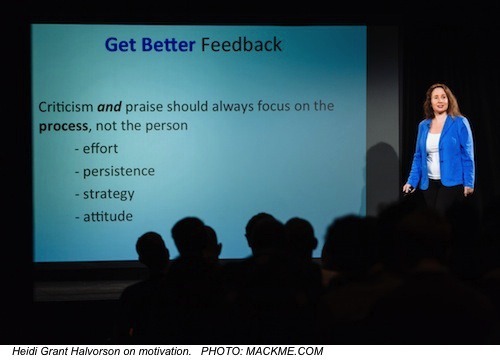 Heidi Grant Halvorson, associate director of Columbia Business School’s Motivation Science Center, explained that when you focus on improvement rather than winning as your goal, you gain deeper thinking and increased motivation, persistence, performance, creativity, and engagement. So something magical happens when you approach doing something with what she calls the “Get Better” mindset — you find a way to improve, and that becomes powerful, sustainable fuel for continuous growth. Contrast this with the more confining “Be Good” mindset, where you’re always out to prove that you’re great. External measures become blown out of proportion and the prospect of exploration and coloring outside the lines looks too risky. This mindset is harmful for your psyche, because off-days, mistakes, and bumps in the road appear as failures, messages that you’re in fact “not good” in the first place. The problem is that it’s really easy to fall into the mental trap of the “Be Good” mindset, especially in high-pressure, high-performing environments. Even when you’re aware of the trap, it’s easy to slip into beating yourself up for mistakes rather than thinking about how to get better. 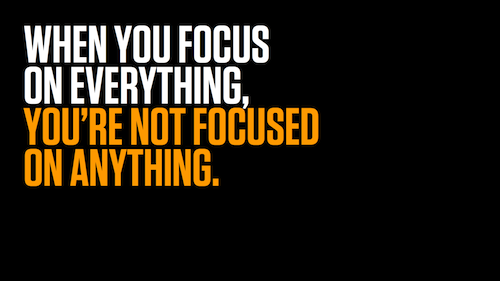 To avoid that destructive knee-jerk reaction, tune into yourself and turn your attention to your progress instead. Ask yourself, “How am I doing?” and compare that with how you were doing before. Then keep on improving, bolstered by what you’ve learned. Success — at least the self-satisfaction brought on by success — can end up in stagnation, a particularly risky state when things are always changing. To that effect, Alexis Ohanian, co-founder of Reddit and author of Don’t Wait for Permission to Be Awesome, advises that feeling like you have no idea what you’re doing is actually a source of strength and advantage. It prevents stultification and encourages that “Get Better” mindset of continuous improvement. Job markets, technologies, and people are moving fast and breaking things. The way to keep up with the shifting sands of context is by standing up, with some self-knowledge, to create and take opportunities all along the way. For Belsky, this requires asking what you’re willing to be bad at, because it’s impossible to be good at everything. Look at Southwest Airlines. 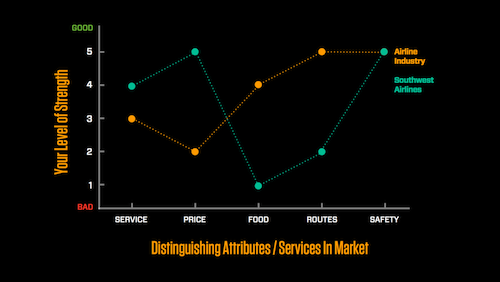 They chose to be bad at food and availability of routes compared to the rest of the airline industry, which meant they could concentrate on delivering awesome prices and service. That self-awareness eventually turned into a selling point and brand identity that helped Southwest to stand out and succeed. Choosing what you’re going to be bad at, as an individual or business, means you can work on your advantages more strategically instead of copying and chasing down conventions. It creates the opportunity to be yourself in order to succeed. 3. Aim for impact, not productivity. Productivity is a constant concern, but as The Muse’s co-founder and CEO, Kathryn Minshew, pointed out, there’s a crucial difference between being productive and making an impact. When you focus on making an impact, you ensure that you’re spending precious energy and resources on making progress on the things that matter. It’s the difference between achieving wins and just doing stuff. 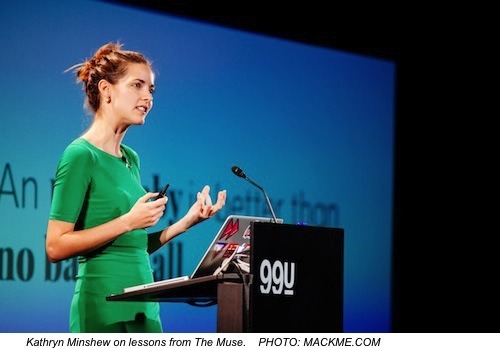 Minshew recounted how when The Muse first launched its site providing career advice and better job search, her team got stuck on why people weren’t watching videos featuring various companies. They fiddled around with changes and testing until finally realizing that increasing views of these videos was not a key metric in the first place, something that the business would live or die on. The point was to get people engaging with companies and applying to jobs with them, not to get people to watch videos. In cutting away to what truly counts as a win, you get to the actions that will be most impactful and the metrics to focus on. The tricky thing is that impactful actions don’t necessarily seem productive either, at least in the conventional business sense. For example, taking the time and energy for acts of generosity and service as a leader, are impactful because they make a difference in whether an organization lives or dies. Your job as a leader, according to cultural anthropologist Simon Sinek, is to create an environment of safety, strength, and connectedness within in order to prevail against ever-present and evolving risks and uncertainties outside. Attaining power and success doesn’t mean you don’t have to listen to anybody anymore. Instead it’s even more important to pay attention to what’s going on inside, to be aware of the environment you’re helping to create as a leader and how you can serve it. There’s no magic key that will unlock the one true door to your success. The same frustratingly cryptic answer that the key is actually within you is also incredibly empowering. In dealing with doubt and change and all the things that happen in life, if you keep questioning, keep listening, and keep thinking about who you are, how you’re doing, and why you’re doing it — that self-awareness and learning feeds you from the roots and protects you against the vagaries of change and the challenges thrown your way. You’ll have flexibility, agility, and resilience on your side. Liked this post? Subscribe to our free newsletter for more great content on productivity, startups, and success! Images: Wikimedia Commons (white rabbit); courtesy Behance/99u (Scott Belsky slides); MACKME.COM (Heidi Grant Halvorson, Kathryn Minshew).